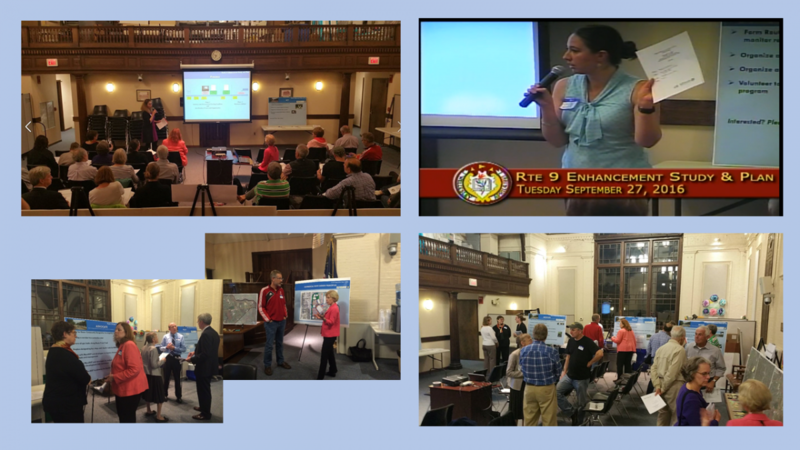 The Route 9 Enhancement Study & Plan is a community-outreach-driven study for the Route 9 Corridor in Wellesley. It will provide tailored strategies for addressing the functionality and form of the roadway and corridor. The Study & Plan is being jointly developed by the Metropolitan Area Planning Council (MAPC), the MetroWest Regional Collaborative (MWRC), and the Town of Wellesley. Phase 1 was an inventory and assessment phase that included a project kick-off meeting, an inventory and assessment of existing conditions, and the identification of issues and opportunities presented by the existing conditions of the roadway and corridor. Phase 2 (for which the Planning Board received a technical assistance grant from MAPC) is intended to develop a Plan, based on the inventory and assessment conducted under Phase 1, that identifies the Town’s goals and recommendations for the roadway and corridor, addresses issues, and capitalizes on opportunities.